Yossi Levy & Co. (YL), established in 1992, is one of Israel's leading law firms specializing in project finance, energy, commercial law, administrative law, antitrust and competition law. YL's 50 partners and associates provide legal counsel to Major Israeli and international companies as well as government ministries and public entities with extensive experience, know-how and legal insights. YL's expertise encompasses a broad range of legal matters including project finance and tenders, commercial law and transactions, complex administrative and commercial litigation, class actions, administrative law, planning and zoning, antitrust and telecommunications. YL is consistently recognized as a top tier law firm, recommended for its excellence by Israeli and international prestigious legal rankings such as "Legal 500", "Chambers Global Guide", "IFLR 1000", "Dun's 100" and "BDI Code" in various legal fields, inter alia, antitrust and competition law, project finance, administrative law, class actions and communications. 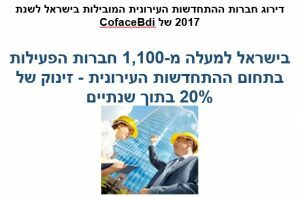 Project Finance and Tenders: As Israel’s leading firm in the fields of project finance, energy and infrastructure, YL has been involved in most of Israel’s significant large-scale national infrastructure initiatives, including highways, mass transit projects and desalination and energy plants. YL has been involved in all desalination projects in Israel including Ashkelon, Palmachim, Hadera, Sorek and Ashdod. Recently, YL was selected to represent the Ministry of Regional Cooperation in the "Red Sea – Dead Sea" project (RSDS) is designed to address the challenges associated with the decline of water level in the Dead Sea and the on-going water crisis in Jordan and its neighboring countries. The RSDS project is carried out in cooperation with the Hashemite Kingdom of Jordan pursuant to a Bilateral Agreement between the two states. In the transportation field, YL was and continues to be involved in the Carmel Tunnels project in Haifa, in the construction of Highway 431, Highway 531 and in a project for the restoration, operation and maintenance of roads in the central of Israel and similar projects. In the fields of energy, YL is well known for successfully representing financiers and concessioners in large scale energy projects. The firm advises Bank Leumi as the financier of the power plant project in Mishor Rotem, Bank Hapoalim and other foreign investors in financing a thermal solar power plant in Ashalim, Bank Discount in financing several thermal solar power plants and a group of private investors with respect to the establishment of pumpedstorage based power plants in the Gilboa. YL also represents Bank Hapoalim in the financing of the northern part of Cross Israel Highway – Highway 6 (parts 3 and 7). In addition, the firm represented the Israeli partners in the Yam Tethys project, the financiers of the Light Rail Train in Tel Aviv, the tender for the establishment of the military training complex in the Negev, and recently represented several financial institutions in the financing of natural gas distribution projects and several construction projects. YL is currently representing the Israel Ports Company in the projects for the construction of Israel’s new ports in Haifa and Ashdod and projects for their operation following their construction. The execution of such projects constitutes significant milestones in the Israeli Market. 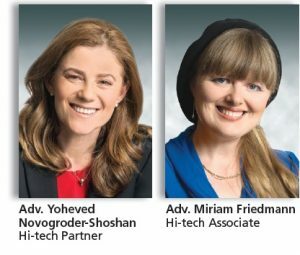 Antitrust: YL antitrust practice is among Israel’s most leading and experienced. YL provides ongoing counsel and represents statutory, public and private entities before the Antitrust Commissioner, the Antitrust Tribunal and the Supreme Court. YL provides ongoing counsel to public and private companies regarding collusions, large scale mergers, and provides ongoing counsel to monopolies, oligopolies and concentration groups in regards to the limitation and regulation applicable to such entities. In addition, YL represents clients in various criminal proceedings and investigations pertaining to antitrust violations. The firm’s antitrust team includes the former head of the Antitrust Tribunal and a de-facto Supreme Court Justice, Mr. Jonathan Adiel, which acts as a consultant to the firm. Commercial Law & Transactions: YL has extensive experience in handling the most complicated cross-border commercial matters, including complex transactions such as setting up joint ventures and start-ups, capital ventures, mergers and acquisitions and acting as ongoing counsel for public and private companies, local and international firms in Israel and abroad. YL represents Elco Holdings Ltd. and its subsidiaries in a long list of transactions including representing Electra in the acquisition of Hofrey HaSharon and Tzom Elevators, the sale of Linom Group and the sale of Electra’s holdings in several infrastructure projects. In addition, YL represented Electra Consumer Products, a Member of the Elco Group, in the acquisition of Mahsanei Hashmal; the acquisition of Ace and its subsequent sale to Kedma Capital; the acquisitions of the Israeli franchisees of Daikin Industries Ltd. and the Israeli franchisee of Huwawei Mobile; the sale of Electra’s service activities to the PL Group, and similar transactions. Furthermore, YL represented the shareholders in DSNR in the sale of their shares in the Elco Group; represented Elco Contracting and Services in the acquisition of Compax International (93) and the Afsek Group activity. YL also represents the Tradomatix Group, a leading algo-trading firm in various international transactions, amongst them the financing and investment of international activity and share sales. YL also represented the buyers of the majority shares in Modgal Metal Ltd. The firm also regularly advises the YSB Group in various transactions. Administrative and Complex Commercial Litigation: YL represents clients in all the State’s courts and tribunals. 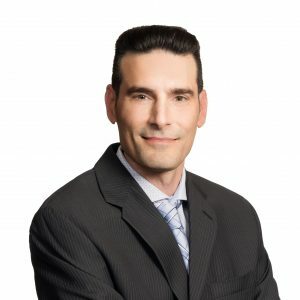 YL has particular specialization in administrative and tender law litigation, administrative petitions, complex commercial disputes, class actions, consumer law, telecommunication law and more. YL represents its clients in numerus precedential rulings, including in cases pertaining to administrative and tender law. YL’s represents, inter alia, international conglomerates in complex litigation cases, including in one of Israel’s largest legal claims amounting to NIS billions; the Israel Ports Authority in complex procedures pertaining to recent reforms in Israel’s seaports; Israel paths – Transport Infrastructure National Company Ltd. in complex arbitration procedures valued at over NIS 500 million; the Israel Airport Authority in various producers with respect to the Ben-Gurion Airport 2000, valued at NIS millions; government entities, statutory corporations, government corporations and private entities in administrative procedures and tenders worth NIS billions and; public and private entities in a large number of high profile class actions amounting to NIS billions and commercial disputes. Real Estate, Planning & Zoning: YL has extensive experience and know-how in legal matters relating to land, planning and zoning and construction. YL provides ongoing legal counsel from the planning and development stage of projects through construction, marketing and registration with relevant authorities. YL represents various public Infrastructure entities, with significant expertise in land appropriation, accompanying municipal planning, registration of consolidation and distribution plan, handling depreciation claims and representing client before the planning authorities and the administrative courts and tribunals. Communications: YL renders ongoing counsel to clients including leading telecom providers and high-tech firms with respect to issues of communications, internet and IT both locally and internationally. The firm provides its clients with services relating to licensing regulation for telecommunication services, including representation vis-?-vis the state’s authorities and legislators. In addition the firm has particular experience in drafting international agreements in this field.